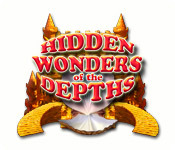 Hidden Wonders of the Depths is a match 3 genre of casual game, which requires players or games to match 3 or more shapes or colors to score big points and unlock wild and colorful prizes. Hidden Wonders of the Depths has a game play theme which scurry through the underwater squares with ‘Crab’ to help the mermaid build her fantastic home. Hidden Wonders of the Depths is a liquid mix of Match 3, Mahjong, and Hidden Object gameplay. Register for a Big Fish Games (aff) account. The price of the game will be reset to $0.00 with the coupon applied. Click Continue. 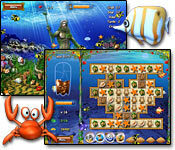 Create a Big Fish Games (aff) account (no credit card required). Or, if you already have a Big Fish Games account, sign in. Review the shopping cart, then click Submit Order. Click the Install Game Now button to unlock the game.